Today's modern anesthetic monitors have made surgery much safer than in the past. 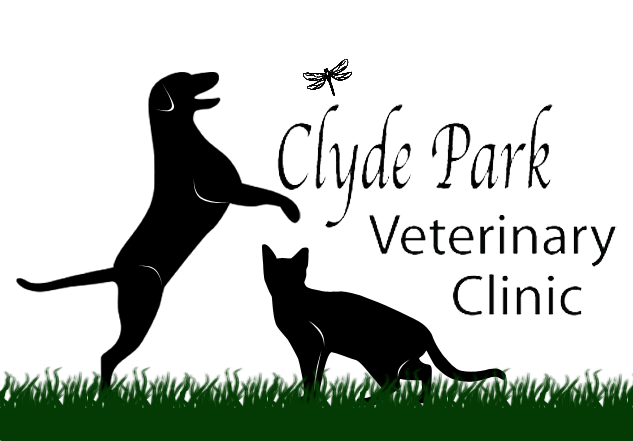 Here at Clyde Park Veterinary Clinic, we do a thorough physical exam on your pet before administering anesthetics, to ensure that a fever or other illness won't be a problem. We also adjust the amount and type of anesthetic used depending on the health of your pet. The handout on anesthesia explains this in greater detail. It is important that surgery be done on a semi-empty stomach to reduce the risk of reflux and esophagitis during and after anesthesia. For cats, you will need to withhold food after 6 am the day of the procedure or surgery. We recommend feeding dogs a SMALL meal at 5 or 6 am the day of the procedure or surgery. Water can be left down for the pet until the morning of surgery. We use narcotic patches for some surgeries in dogs as well. The cost will depend on the size of the dog. Long lasting injectable pain medications may also be used after surgery on both dogs and cats. Providing whatever pain relief is appropriate is a humane and caring thing to do for your pet.